Click to learn more about the Bismarck Magazine! The Mandan Rodeo Days 4th of July Road Race is a long lasting tradition that has become a great beginning to a fantastic Independence Day celebration in Mandan, North Dakota. Over the years the race has grown to become a fun activity for family and friends celebrating Independence Day. This is one of the reasons why Mandan Road Races wants to keep this tradition going. We enjoy hosting the run in Mandan and we understand the value it has to this community. We hope you will join us at this great event on Main Street in historic Mandan. Each year we donate $10 from every race registration to the Bismarck Cancer Center Foundation. to date the race has contributed almost $20,000 to the Bismarck Cancer Center. The race also benefits another great causes in Bismarck-Mandan Community. The race takes places before the Mandan Independence Day Parade on Main St. starting in front of the Historic Train Depot and covers the entire length of Main Street. PARTICIPATE in a great tradition this July 4th! On-Site Registration: July 3rd from 10 am to 6 pm at Art-in-the-Park on Main St.
- July 4th From 6:15 am to 7:30 am on Main Street in front of Mandan Heritage Plaza. July 3rd and 4th on Site Registration is $45 per person. Race Time: All Races begin at 8:00am on Main St.
Pre-Registration Check-In and packet pick up: July 3rd in Art in the Park From 10:00am to 6:00pm On Main St. at the Intersection of Main st. and 3rd Ave NW. The mission of the Bismarck Cancer Center is to ma﻿﻿ke locally available, the highest quality, state-of-the-art radiation therapy services to persons with cancer within the Bismarck service area. Such services shall be delivered, insofar as possible, without regard to reimbursement, and always in a supportive, compassionate, and caring manner, and will include needed wrap-around services to both patients and their families, educational services, prevention and early detection initiatives, and survivorship programs. more information about our services e-mail us at mandanroadraces@gmail.com. Check out 4th of July Celebration in Mandan North Dakota. 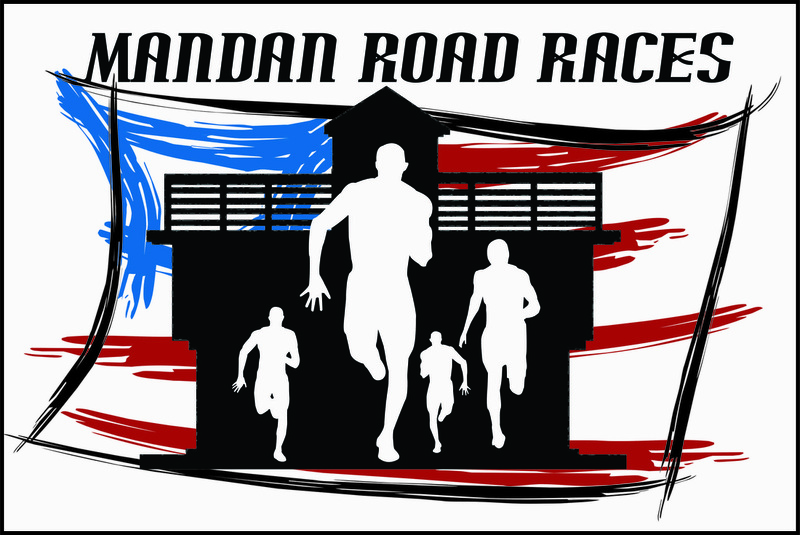 Brought to you by Mandan Road Races LLC in Partnership with Mandan Heritage Plaza Foundation.